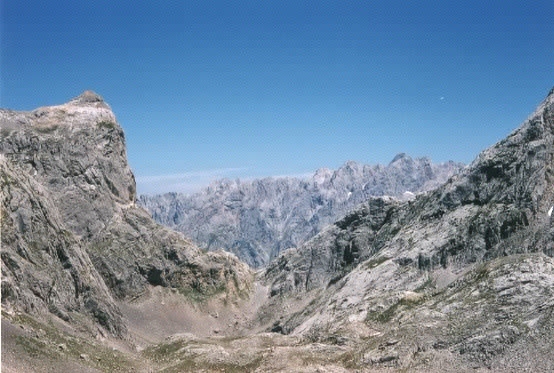 Picos de Europe with the Cares Gorge, view from the South. After Google Earth. 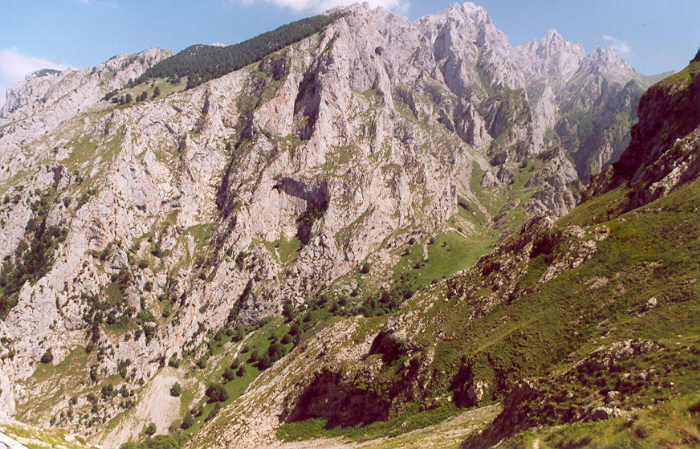 View at the Cares Gorge from the canal down from Oston to the route to Cabana Vigon, green valley in the far distance leads to right of the tip of the forest (top, middle) through a steep canal. 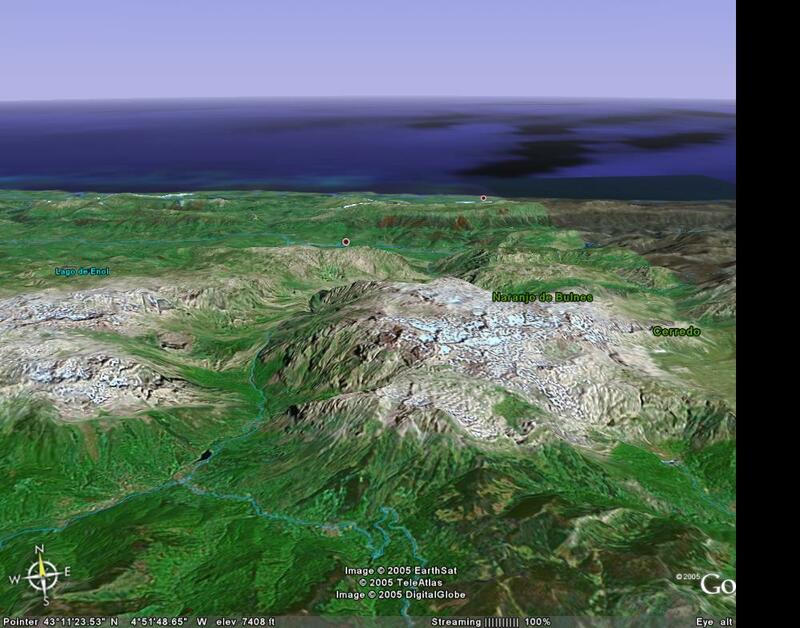 Elevation difference 1000 m.
Similar as above, but from a satelite and larger picture. 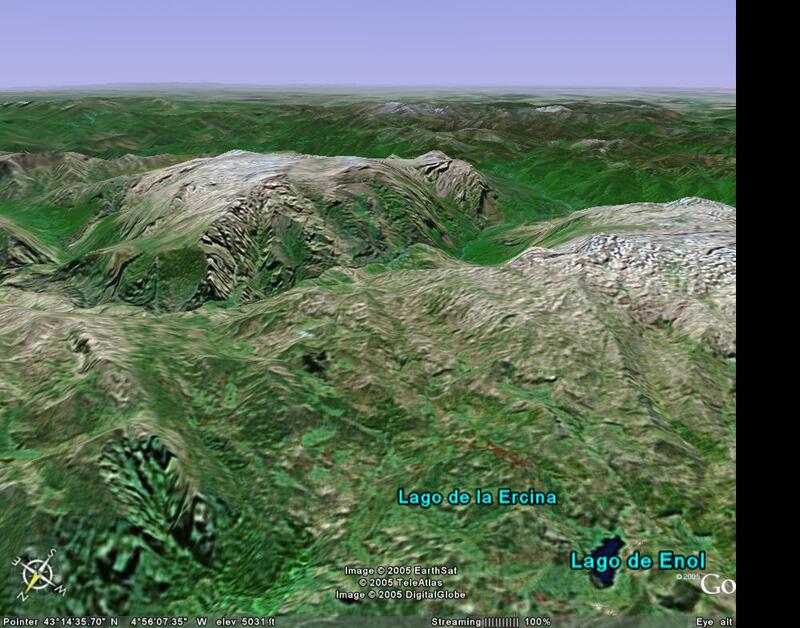 Shows route day 1 from Lago de Ercina to thee Cares Gorge. After Google Earth. 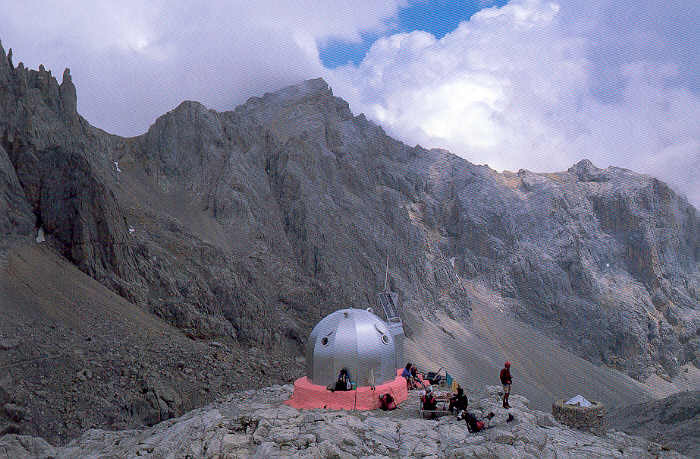 See link: Parador puddles puttering up the Picos peñas. You are visitor # since August, 2004.